Okay, even after the bad experience at Corner Cottage, I was still willing to try a great breakfast restaurant in hopes that the same pride would be there for lunch as it is for breakfast. 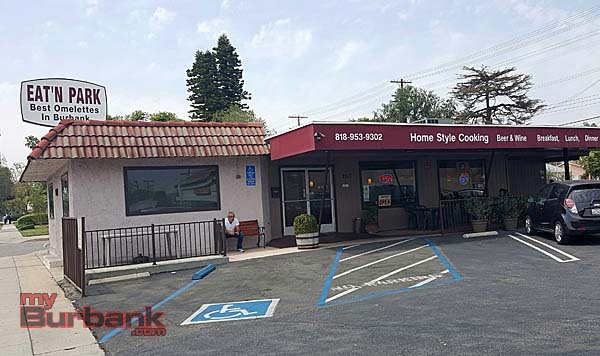 Unlike Corner Cottage which has slipped in the breakfast burrito category from being complacent over the years, Eat’n Park is still a staple when it comes to omelettes. No one does them better in Burbank for the money. The first thing we noticed as we sat in our booth around 1:20 in the afternoon is that the place was just about empty. The reason we found out; they close at 1:45. So much for a late lunch rush. So looking at the menu they have a cheeseburger, but what wait, next to it they have the Giant Cheeseburger. I figure the first one is just a small frozen patty so I go with the larger one. While our waitress does not ask how I would like it cooked, she asked about the cheese, interesting. There was minimal spread on the bun and the condiments included fresh onion and lettuce. Yes, the cheddar cheese was there and had a great taste, but that is where the taste completely stopped. About half way through I was starting to struggle. The bun was fresh and did not fall apart in any way but the burger was just a struggle to finish it. Knowing on how much you all count on me, I did finally get it all down, thanks to two refills of my drink. It’s funny, when I sent the picture in I took of the burger I thought it looked pretty good. And as we know, looks can be soooo deceiving. Eat’n Park is a world class breakfast stop. It’s always busy during the mornings and it is hard to get a table. Instead of closing at 1:45, maybe they should close at 10:45 and save everyone from their burger menu. Side Notes: I felt brave and tried the chili cheese fries. I was too brave because not only were the fries not well done as I requested, but it was easy to tell that the chili was out of a can and then the plate was either put in a microwave or heating element to melt the cheese. I really could not finish it and I will let you tell me what it looks like on that plate. I also tried the cole slaw and it was made fresh and I thought it was good. To bad my meal did not stop there. Eat’n Park is located at 2517 W Victory Blvd, Burbank. 818 953-9302 . Open daily 11 am until 1:45 pm. 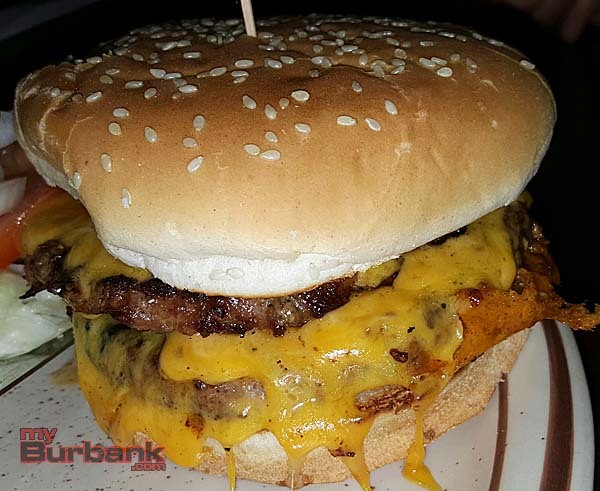 This entry was posted in Burgers, News and tagged Burger Review, Eat'n Park on May 7, 2016 by Burger Dude.